Good day, Friends! I hope you are doing well. If you feel like challenging and pushing yourself just a little further in your home machine quilting, how about doing a “bead necklace” with a mixture of big and small circles of consistent diameters in sequence? This is a continuation of an earlier Thread Talk on circles. If you have never quilted circles free-motion and unmarked before, you might want to try out the circles I had talked about in the earlier post before tackling the bead necklace. 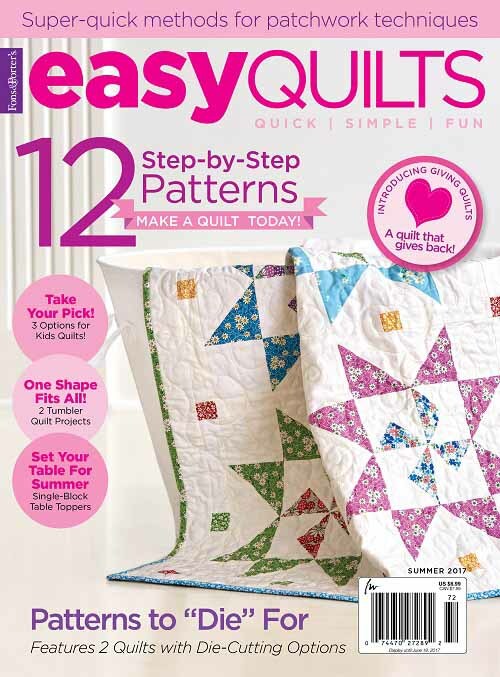 Quilting the bead necklace is a great exercise to fine-tune your skill in moving the quilt sandwich for free-motion quilting using your doemstic machine. 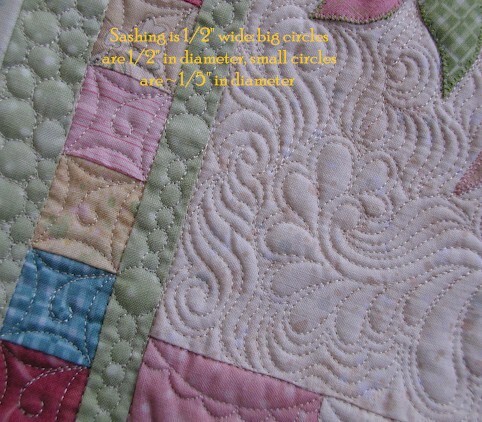 The circles in different sizes and in sequence force you to concentrate and master the skill of moving your quilt differently for the little circles. I had quilted my bead necklace totally free-handed, without any prior marking. Give it a try, and let me know what you think! I used to tell my students that if I could do something, they definitely could do it too! Meanwhile, Happy Wednesday, and Happy Quilting! 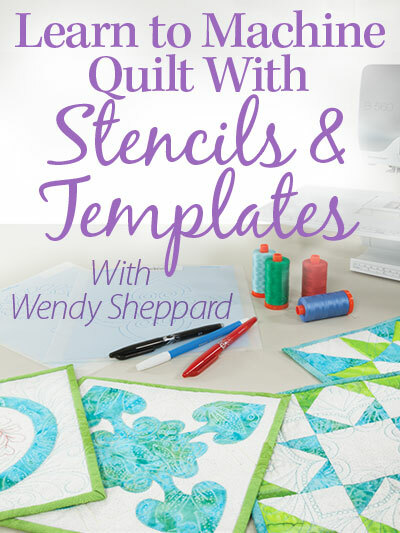 This entry was posted in Freebies, Ideas, Tutorials, Quilting, Thread Talk and tagged Free-motion quilting, Quilting Circles. Bookmark the permalink. ← HOT CHILI PEPPERS in Arizona! Love this article Wendy – and always love your quitling. Oh my – how exquisite. Do you ever get nervous before you start? 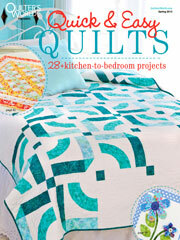 I always look forward to the quilting part and get quite excited to begin. But after all the work that goes into piecing and applique, I find myself, after a good practice run, oiled machine (I’ll just have another coffee), everying in the right place (I’ll just get that washing out)…right, okay, right, here we go…..frozen to the spot. Petrified to start, berating myself for being a whimp. What’s the secret to stop the procrastination and just finding the courage to get on with it? When I see your work I become inspired, but put me in front of a quilt and I’m on the edge becoming expired!! Your beads are wonderful! 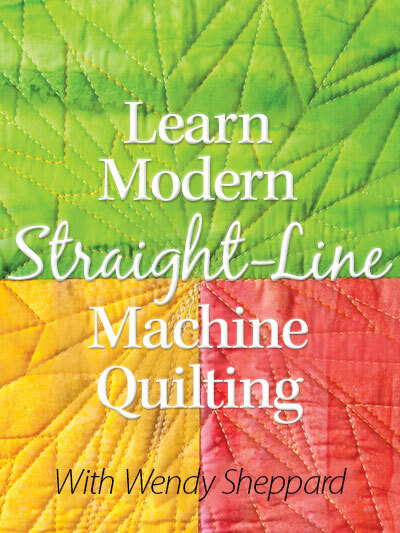 I can’t wait to get back to my Pfaff Grand Quilter to brush up on machine quilting. I’ve been away from it for too long. Your work is an inspiration. Happy Wednesday to you too! 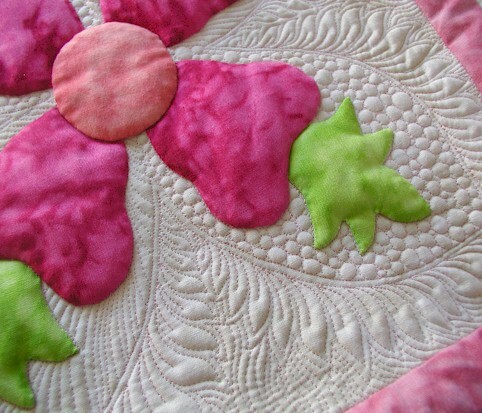 How funny because the quilt I am working on at the moment I am doing tiny circles, to look like snow actually, I love the look for snow, pebbles, flower seeds etc. I had never thought to use them on sashings. I just love the circles and beads, thank you for talking about it and being so generous and willing to share., I always learn so much from the thread talk. I’m with Cathy in pre-school and Lorraine-procrastinating. 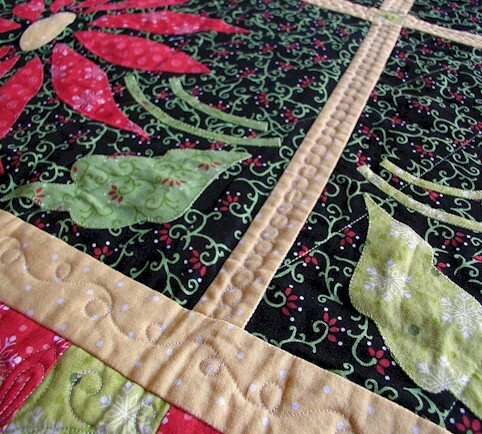 I love your Thread Talks and looking at all your beautiful quilting. Thank you so much for sharing your talent, I love the variation of the stitches you use.. your quilting is beautiful. When I stop by your blog, I positively drool LOL. I love your McTavishing in the flower block. Your circles are so even looking-do you do figure 8s or all in the same direction? When I do them on the longarm, I go around them twice; I like yours much better. 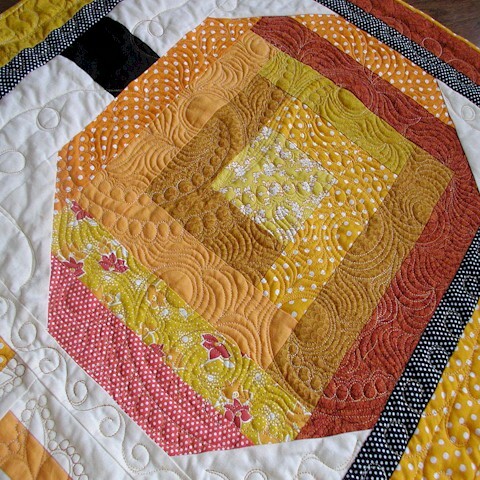 Your quilts are so beautiful, they are like candy for my eyes and the quilting only makes it even better. Practice, practice and practice some more and maybe someday I’ll get there. Hi, I’ve been reading your blog for several months now. 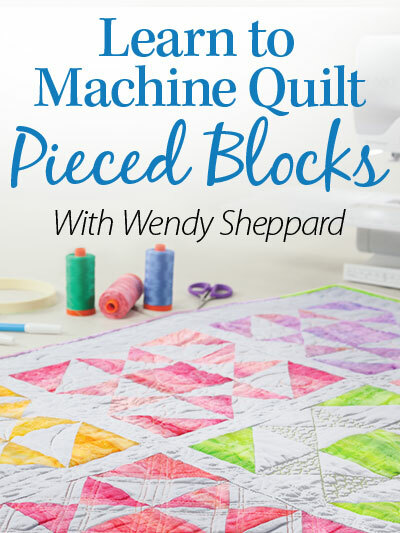 Today I took time to look at the sidebar items and was so pleased to see so much information about home machine quilting. 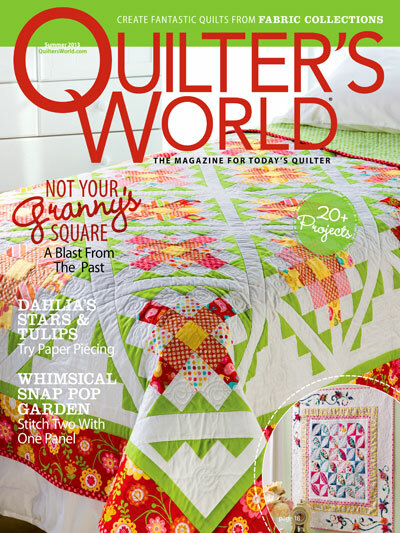 I am a die hard hand quilter, but recently have become “interested” in machine quilting. (Maybe I can finish all of the tops I’ve made if I machine quilt some of them.) I subscribed to your posts so that I won’t miss any of the excellent tips and instruction. I admire your work and work ethic. You accomplish so much. I think I should really love sewing. I am always impressed with all the ladies that know how. 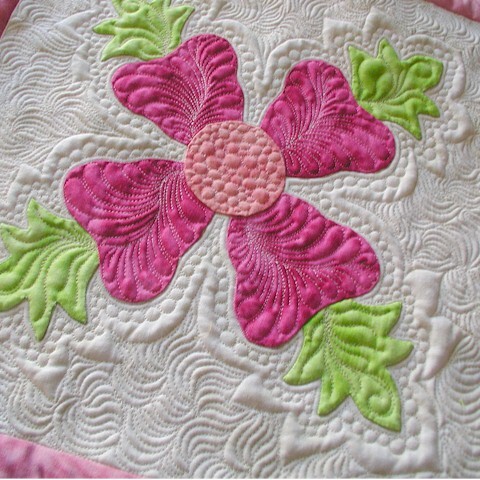 I would love to see the whole quilt in the above photo with the pink flower on the white background. It is beautiful. Could you please share a photo.